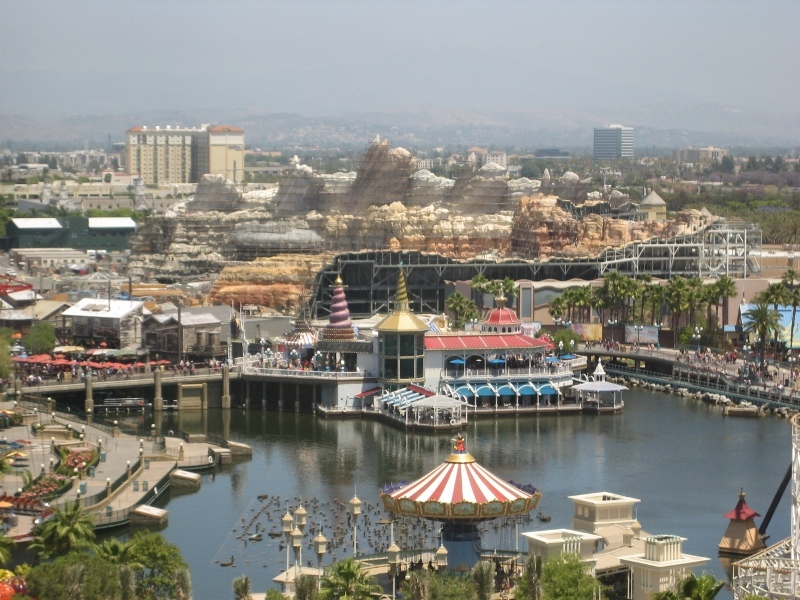 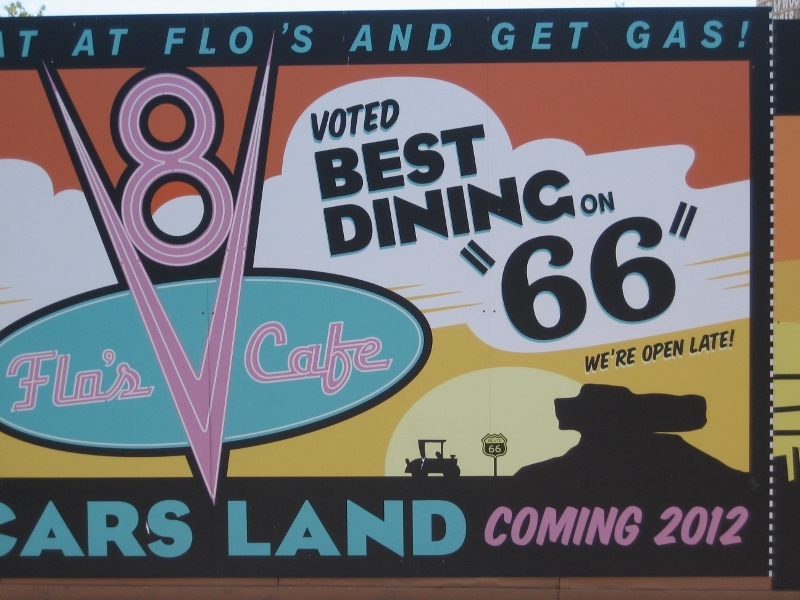 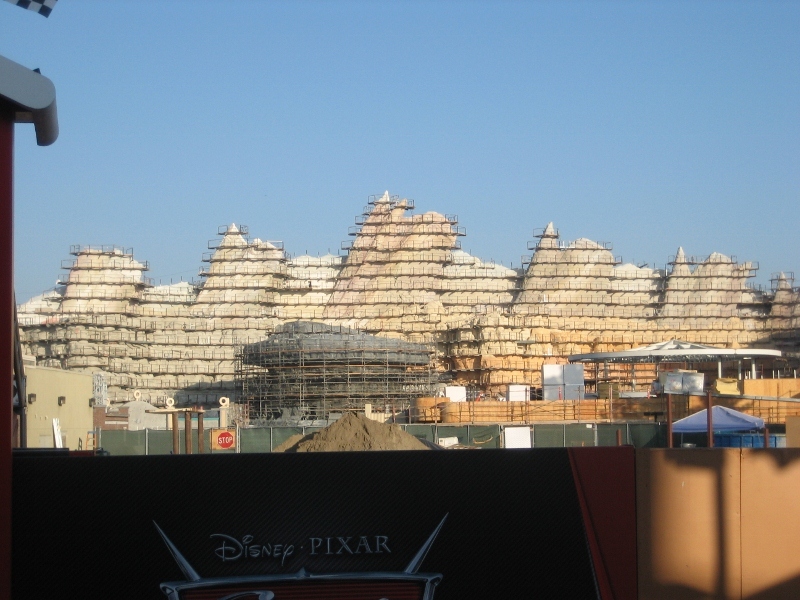 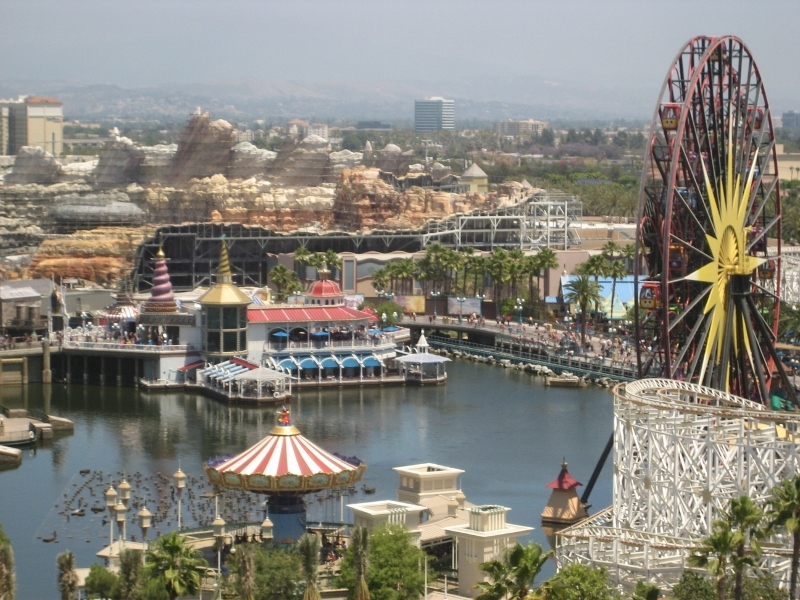 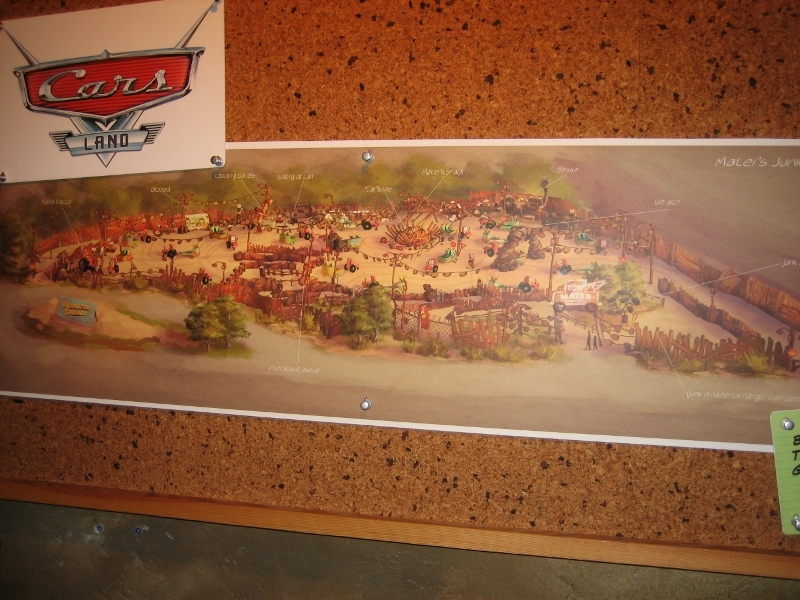 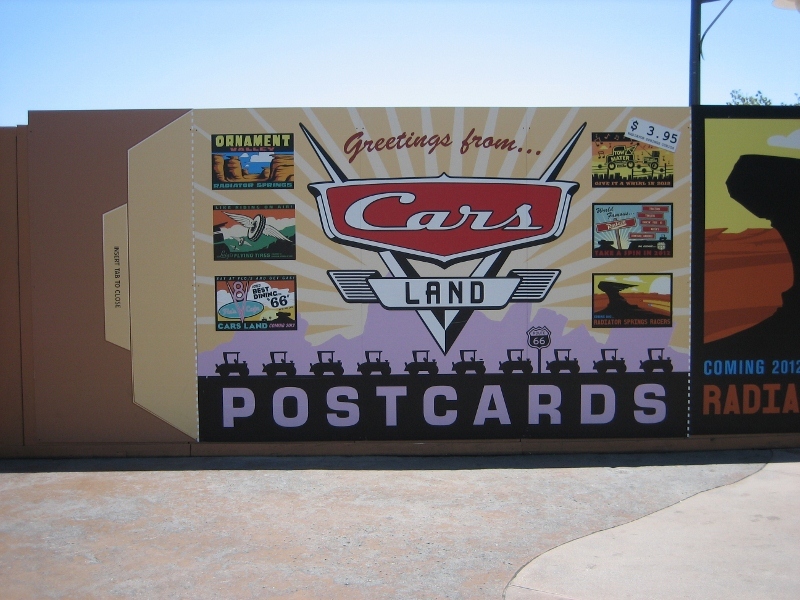 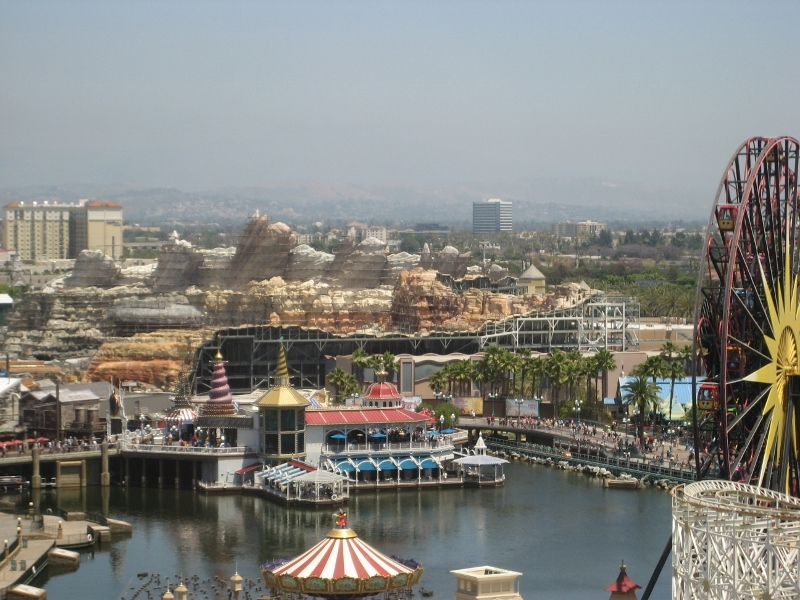 Cars Land is due to open at the Disney California Adventure Park in the summer of 2012. 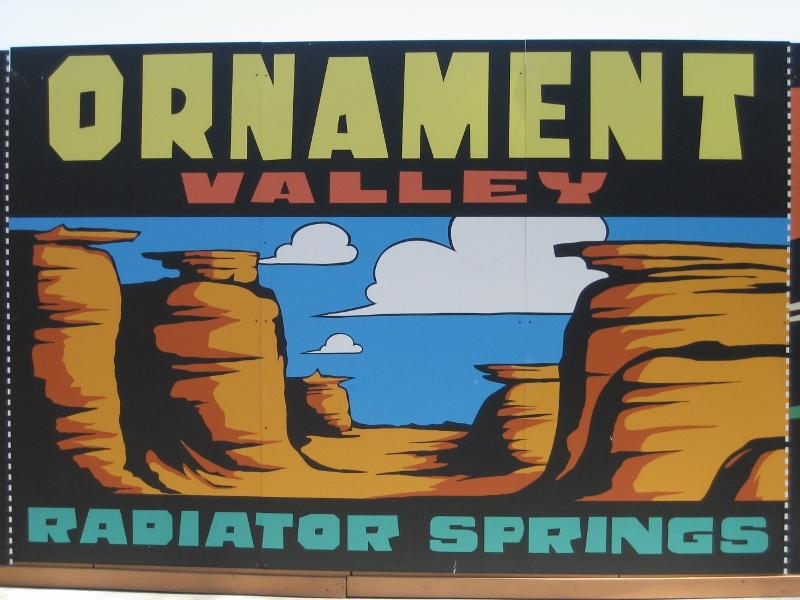 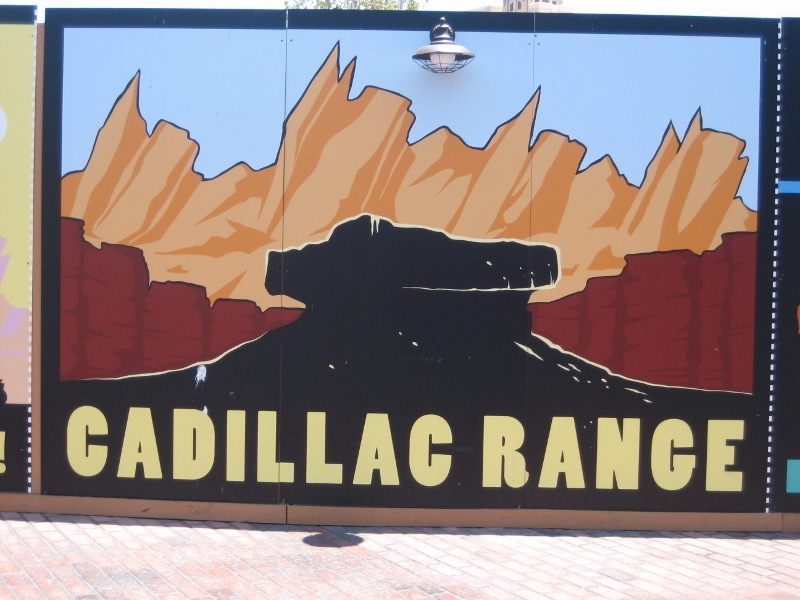 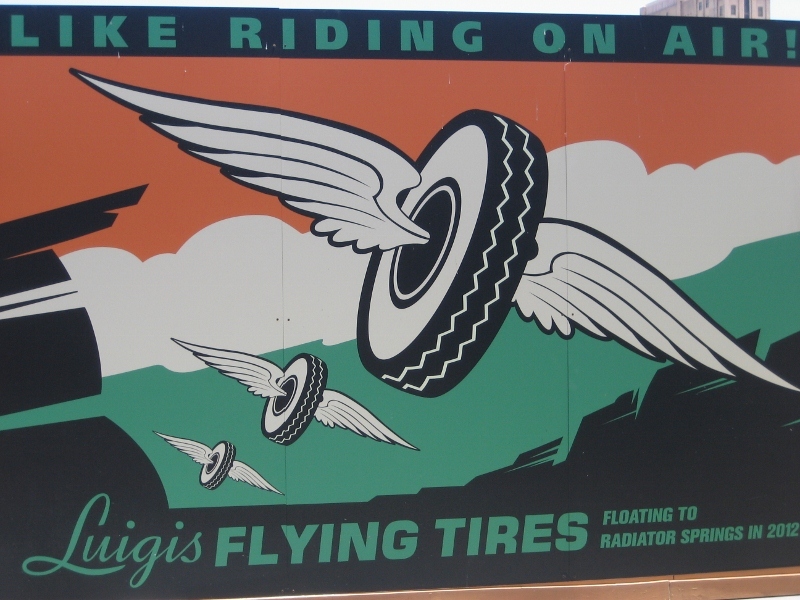 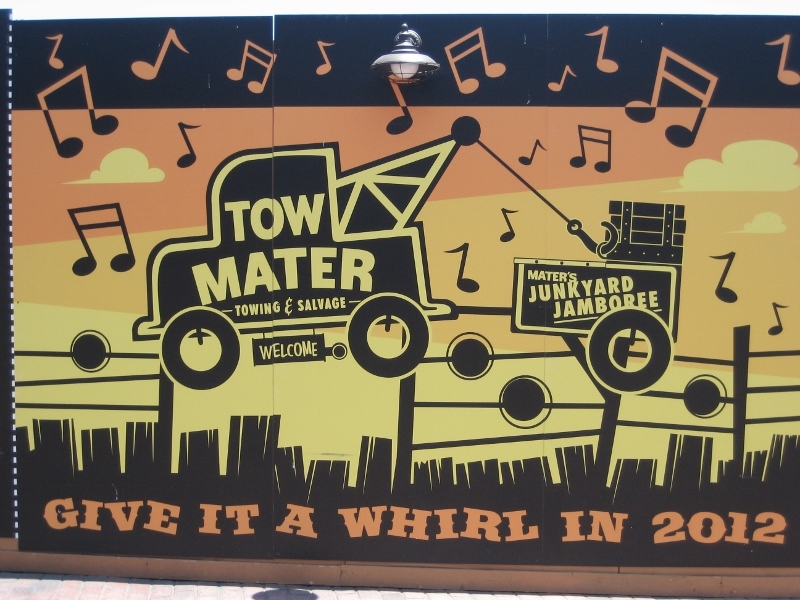 This 12-acre recreation of the town of Radiator Springs will feature several of the Cars characters, including the Sheriff as voiced by Michael Wallis. 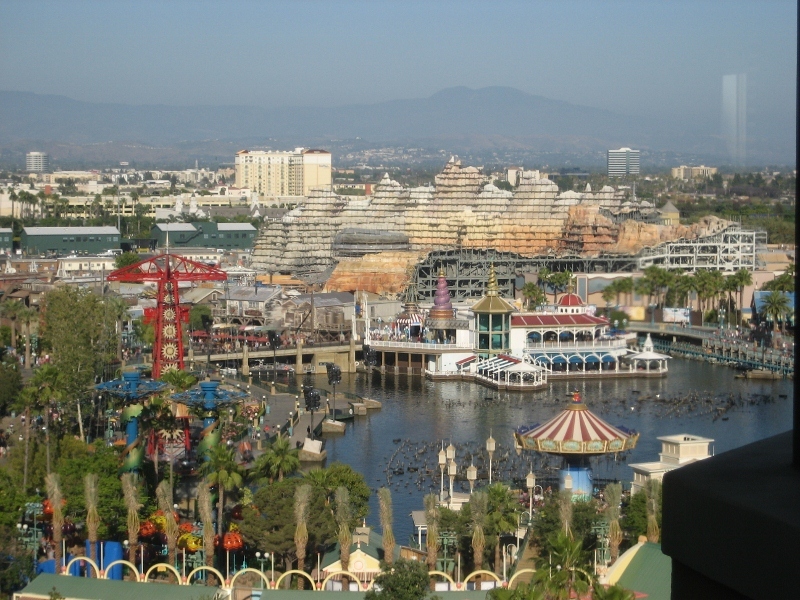 Michael also served as a consultant for the Walt Disney Imagineering creative team during the early stages of the new theme park’s development. 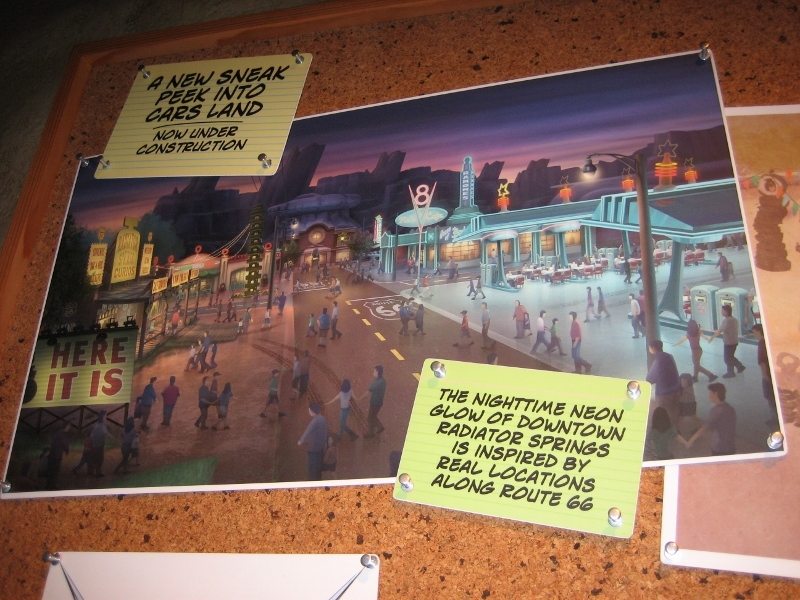 The Layout from the guests perspective is one of looking down the main street of Radiator Springs, AZ, as seen in Cars and Cars 2. 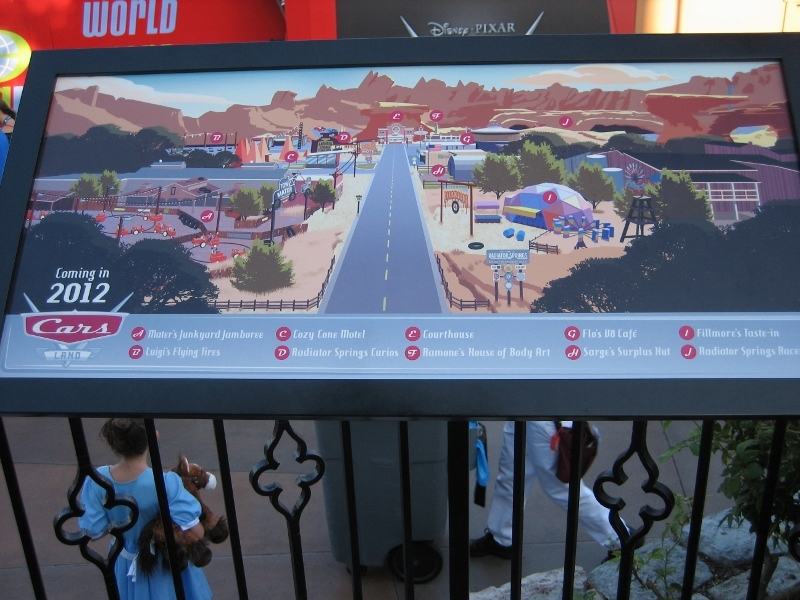 The main street is Route 66 coming in from the Golden State area, across from the Golden Vinerey and currently Walt Disney Imagineering Blue Sky Cellar. 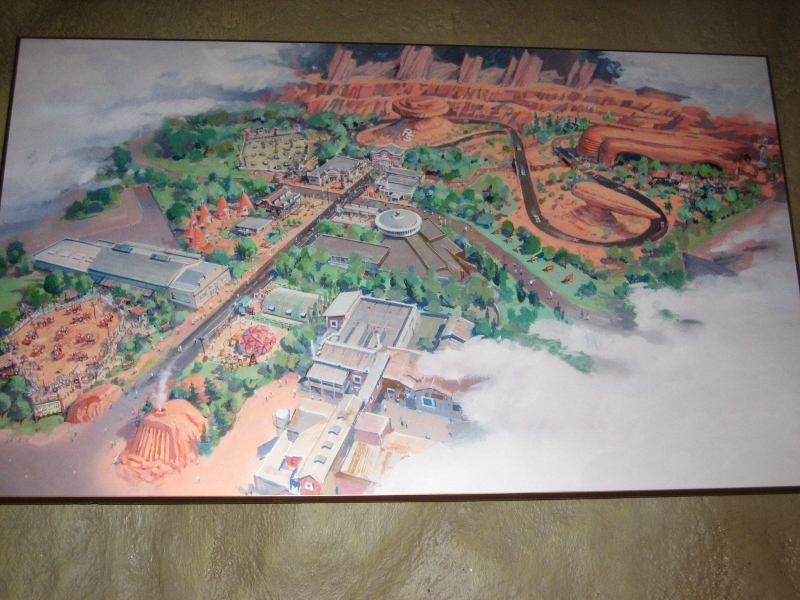 The other two entrances into the land is through a path in Bug’s land in between the entrance of Heimlich’s Chew Chew Train and Tuck and Roll’s Drive ‘Em Buggies and through a tunnel being constructed as a part of the rockwork making up Ornament Valley from the Pacific Wharf. 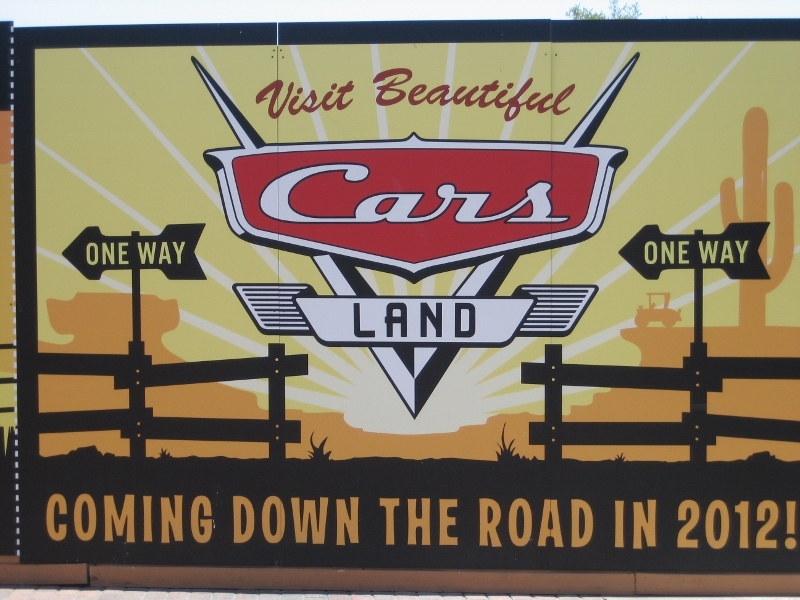 The two other entrances are the same path crossing through the middle of Cars Land. 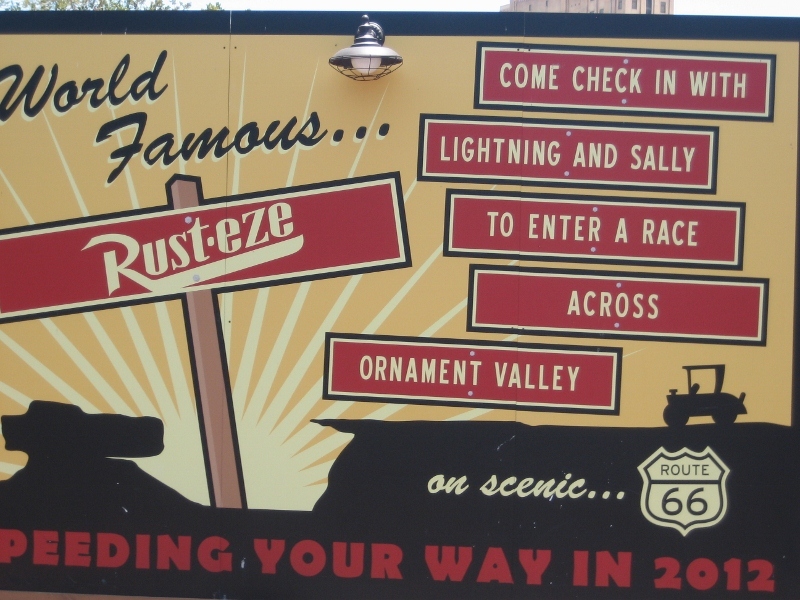 The path’s name is Cross St. At the end of Route 66 is the Court House/Firehouse where the street splits. 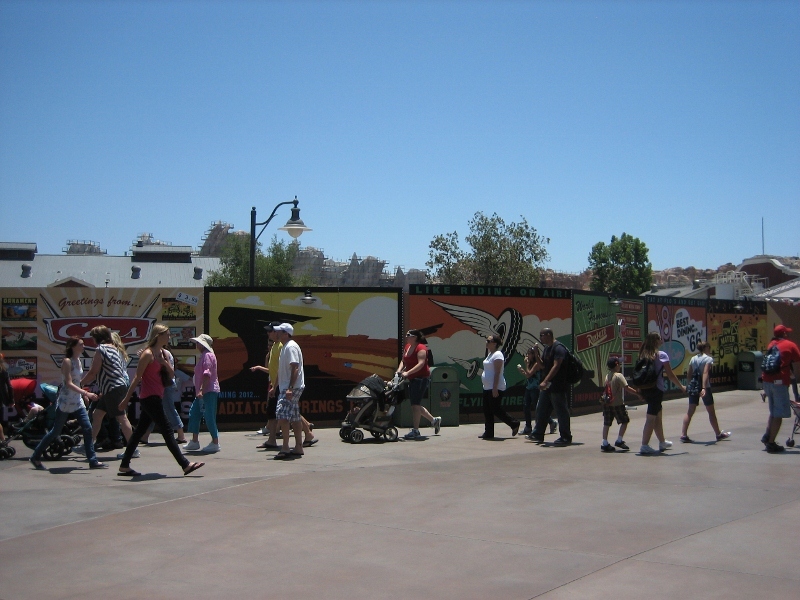 To the left of the split is still unknown to many people, but it may be a backstage access gate. 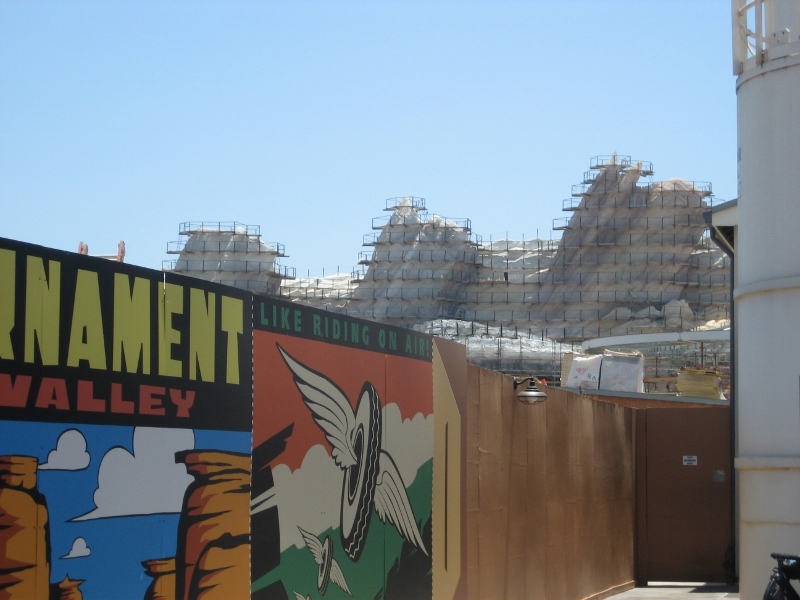 To the right of the split will be the entrance to Radiator Springs Racers. 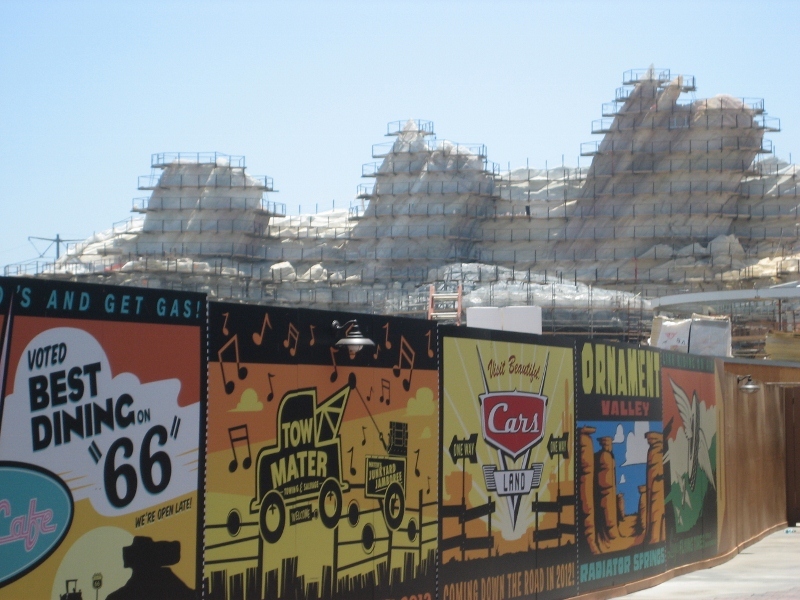 In the distance, the Radiator Cap and Cadillac Range can be seen.